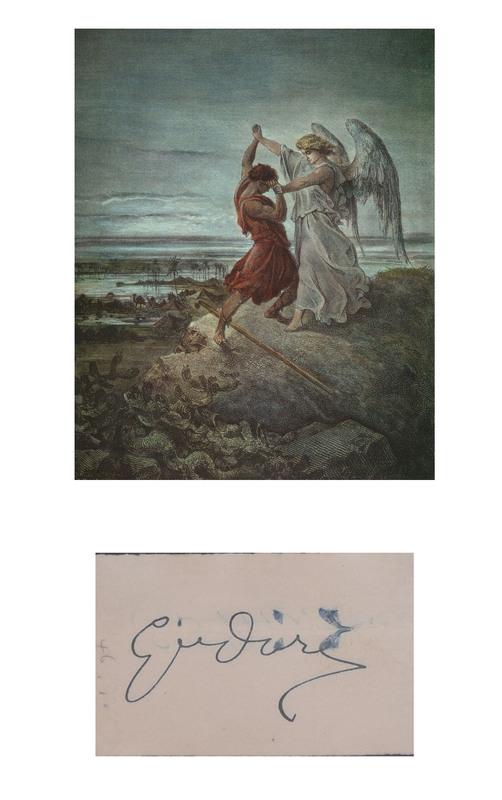 Gustav Dore signature with modern photo, Painter and illustrator (1832-1883) known for his illustrated editions of books by Rabelais, Balzac, Dante, Milton, and others slip of paper signed in ink “Gu. Dore,”. 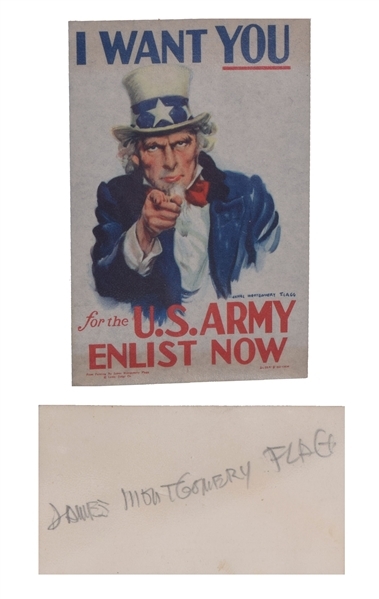 "James Montgomery Flagg" pencil signature. Flagg (June 18, 1877 – May 27, 1960) was an American artist, comics artist and illustrator. He worked in media ranging from fine art painting to cartooning, but is best remembered for his political posters. "Charles Dana Gibson" Signature. Gibson (September 14, 1867 – December 23, 1944) was an American graphic artist. 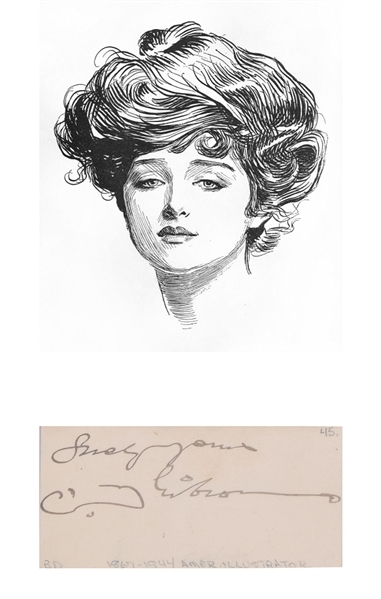 He was best known for his creation of the Gibson Girl, an iconic representation of the beautiful and independent American woman at the turn of the 20th century. 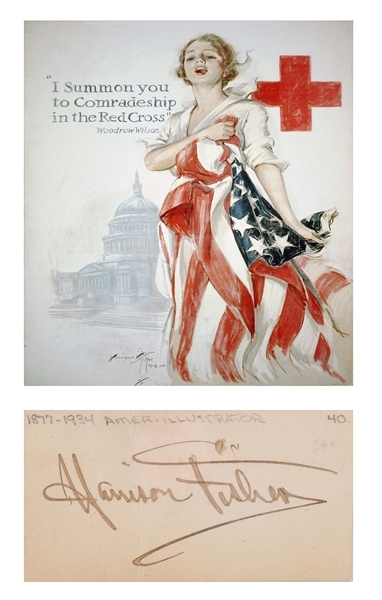 "Harrison Fisher" signature on his personal calling card,(July 27, 1875 or 1877 – January 19, 1934) was an American illustrator mostly for magazines of the day, like Cosmopolitan.